The Prologue clarinet is enriched with the experience and ingenuity of Henri SELMER Paris through the company's history of conception and fabrication of clarinets of quality, recognised throughout the world. 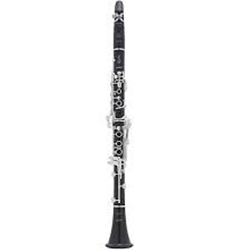 Light and easy to play, the Prologue clarinet offers immediate comfort. With ergonomic keywork specially designed for clarinettists of all levels that enables a natural and rapid adaptation to the instrument. Ease of response and emission is ensured through its specifically designed bore, as well as enormous flexibility across all registers of the instrument and homogeneity of sound from top to bottom. Selmer's acoustic research has allowed for an optimisation of the instrument's intonation, which puts the Prologue in a remarkable position in its category. Key: Bb Silver-plated keywork Adjustable thumb rest with ring Valentino pads Bell ring made of high strength elastomer Henri SELMER Paris "Focus" mouthpiece Prologue case FREE SHIPPING with your purchase today!